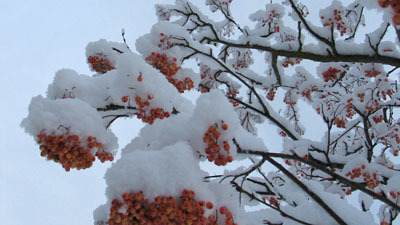 I love the snow, it is beautiful, exciting and endlessly surprising. Today it fell nearly all day leaving our little town covered in soft snowy drifts. So much trouble is reported in the news but I am enjoying the beauty of it, rather like the icing on the cake. We get to have it all. This entry was posted in Garden and tagged beauty, seasons, snow, winter. Bookmark the permalink.